November starts on Friday and I am very excited. November is my favorite month of the year for one very big reason – it’s the month of my birth. On November 21, almost 24 years ago, a star was born. Me. Suzanne Michelle Seidel. 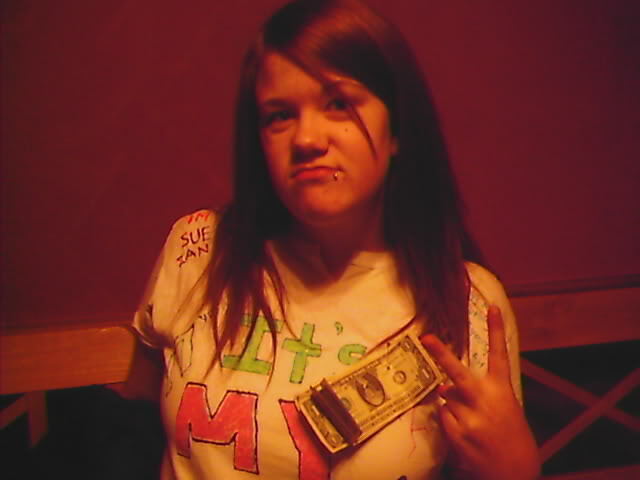 This is me on my 17th birthday wearing a t-shirt that says, “IT’S MY BIRTHDAY” with dollar bills pinned to it. This was a great birthday and a great November. I also like November because of Thanksgiving and fall weather and only-one-more-month-till-Christmas! Also, at The Palms we celebrate Dominican and American holidays which means lots of days off in November. Of the four school weeks in the month, only two of them are full weeks. Hazah! I also like November because for many years I could except a new Harry Potter movie for my birthday. This year we get Catching Fire, which is just as exciting, trust me. Plus it’s basketball season in the states (for a while I was into the NBA) and baseball season in the DR. SO MANY REASONS TO LOVE NOVEMBER! This November, in the 2013th year after the birth of our Lord, I am going to write a novel. The idea for a novel came to me in a dream (for real!) and I typed some things up, sent a couple pdfs to a friend and asked if this idea was worth pursuing. She said, “Yes! 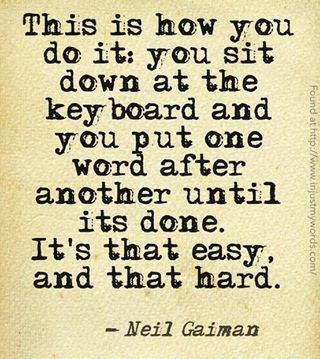 Keep writing!” So I did! Every day for like two weeks. And now I haven’t written anything for that story in DAYS and I’m scared I’ll never start again. And the craziest part is that when I do write about those people and their lives it’s like I am telling a story that already happened. Which should be easy. Except “writing a novel” sounds super intimidating and what if nobody likes it and what if it’s awful and was a great big waste of time or what if I write like, thousands of words, and then get stuck and can’t go any further or what if I already read this story once somewhere and just forgot and now I’m about to be arrested for plagiarism? But THEN today on my WordPress dashboard I saw a little something about NaNoWriMo! Which stands for National Novel Writing Month. Which takes place in guess what month? November! I remember reading about NaNoWriMo on different blogger’s blogs last year during the month of November and I tell you what I never never would’ve imagined that I would be participating. But here I am, a mere three and a half days before the first day of my favorite month (which is November, in case you forgot) declaring that before December 1 I am going to write a whole entire novel. I signed up at National Novel Writing Month and everything! 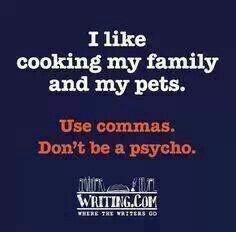 In fact, I tend to overuse commas, just to be safe. Nobody likes a psycho!